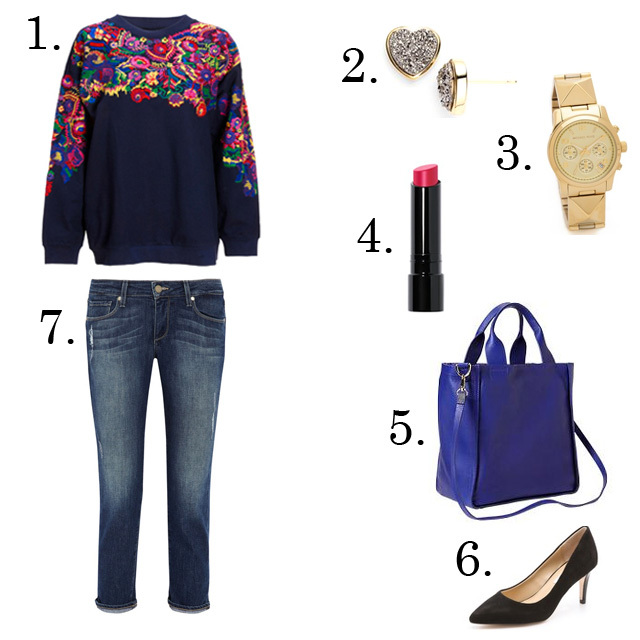 The colorful embroidery on this sweatshirt is crazy cool--and yet it's still basic enough for everyday. These JEANS are perfect!! With all of the denim out there why is it so difficult to find the perfect ankle-length, slim-cut (skinny but not too huggy around the calf) ala Emanuelle Alt and Geraldine?! I really hope that you will do a jeans post again this year (as well as another "Boot Camp"). Thanks Marlien!! 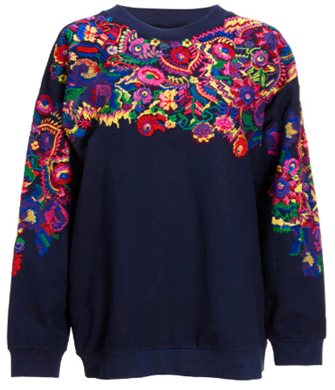 I love that sweatshirt (and wow--is your touch missed at Lucky). I would be grateful in the even that you come across a watch that is NOT Michael Kors. I have an allergic reaction to him, seeing that he is absolutely EVERYWHERE and seems intent on announcing his presence via his name, or initials.